Never miss an important conversation again with Unitron Tempus Moxi Fit R 600 – the world’s smallest rechargeable hearing aids, built on Tempus – the newest Unitron platform. Tempus is powerful new sound processing technology that builds on the North platform it replaces. With Tempus, Unitron has taken their passion for hearing aids to the next level and addressed the challenging problem of improving conversations in noisy and crowded environments. The result is a big step forward in speech discrimination, sound localization and overall comfort. With a simple overnight charge using the battery charger, you can expect up to 24 hours of better sound quality and an improved, natural and comfortable sound experience. For added convenience, the rechargeable size 312 battery cell can be swapped for traditional zinc-air batteries at any time – just in case a power source for the charger is not available. 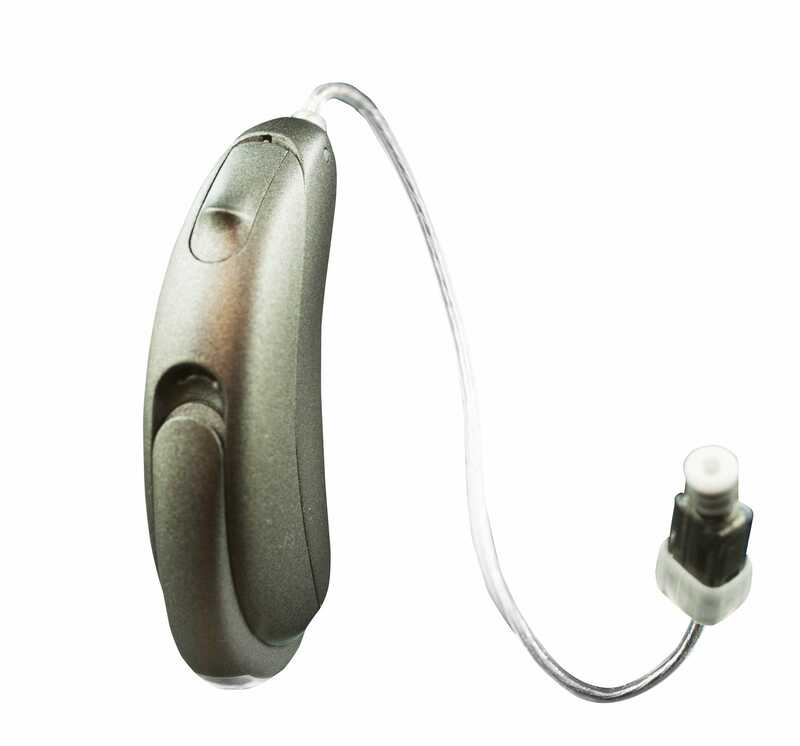 The Unitron Tempus Moxi Fit R 600 is equipped with a telecoil and onboard button. Manual control of volume and/or environmental programs can be accomplished by using the onboard button, an optional remote control, and a smartphone app. With an award-winning style and industry leading features, the Unitron Tempus Moxi Fit R 600 makes the most of any conversation no matter where life takes you and is the top performance level designed for active people who spend an above average amount of time in jobs that demand highly skilled listening environments which can involve background or crowd noise. NOTE: The Rechargeable Kit ($250) is NOT included in sale price and MUST be added as an option during purchase. It gives the capability of rechargeable batteries to the Unitron Moxi Fit R. Includes one base unit with two charging slots, two rechargeable batteries, and two Unitron Fit rechargeable battery doors. The charger uses USB or a wall outlet for power. Unitron Tempus Moxi Fit R – Compatible Accessories – can be selected as additional options to your hearing aid purchase. In addition to the Pro, the Unitron Tempus Moxi Fit R is available in 4 additional technology levels – Pro, 800, 700 and 500 – to help match automatic performance to your lifestyle and budget.